At big creative events around the world, at award functions, seminars and conferences, and at causal social gatherings between creative big-wigs, one word seems to have grabbed the creative world’s attention: Collaboration. But while the world is speaking about collaborations between agencies and within departments in organisations, is the age-old collaboration of the advertising world, that of the art and copy, getting side-lined? If the lore is to be believed, the trend of having copywriters and art directors sit together and work on an idea came to be when Bill Bernbach and DDB decided that two minds coming together to chalk out a creative solution for brand’s problems was better than one mind hacking away at the client’s brief. Santosh Padhi (aka Paddy), Chief Creative Officer and Co-Founder, Taproot Denstu and Hemant Misra, Managing Director, MagicCircle, believe that collaboration is paramount to creating good content. “When you are building an idea, you need collaborations. That collaboration could be between a copywriter and an art director or between a copywriter and planner or between an art director and a servicing person but collaboration is crucial when it comes to developing ideas. The partnership has to be between people who respect, trust and look up to each other,” said Misra. That is essentially how teams worked before but according to Paddy, that dynamics is slowly disintegrating. There are myriad reasons for this but the front-runner among them seems to be the changing landscape of the advertising industry and the role that technology is increasingly playing in today’s world. “The partnership between art and copy was largely in the era when advertising was all about print and, therefore, it made sense for one of the pillars to be steeped in writing and for the other pillar to be steeped in art and that continued for a bit till the television era. Today, you are using technology, innovation, activation to communicate. So, for this era it doesn’t make sense to have partnerships which are between words and pictures. For this era, the partnership that makes sense is the partnerships with technology, with strategy and other mediums of communication. 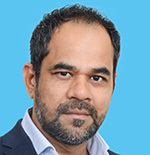 Now-a-days, collaboration is about collaborating with experts and mediums that advertising has traditionally not used and that is where the model of collaboration is headed,” explained Dheeraj Sinha, Managing Director, India, Chief Strategy Officer, South Asia, Leo Burnett. While the old saying goes ‘Jack of all trades and master of one’, Srinivasan K Swamy, Chairman, R K Swamy Hansa, believes that today being just a master of one thing is not enough. “With television and digital, it is important to have a sync between both the verse and the visual. So, today, it is important to have someone who is good at both art and copy. Now, not only do you have to be a Jack of all trades but also a master of some and not just a master of one. One has to have an understanding of the art effect, direction, acting, verse, emotions that are evoked, everything,” said Swamy. 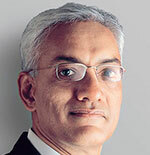 Reiterating the point is Ramesh Narayan, President, Indian Chapter of the International Advertising Association (IAA), who believes that the art and copy teams still exist but in a different form. “The golden art and copy duos still exist and I believe new such teams will also be encouraged. Essentially, because it is in the interest of the agency and the client to encourage perfect harmony between the art and copy people because only then will one be able to create advertising magic. It is true that roles are being redefined. So, an art director of today may not be the classic art person of the yore, he may be a technology man but he is still using technology as an enabler for art. The essence and soul of advertising still is great ideas,” said Narayan. Joy Chauhan, Associate VP, JWT, talks about how the dwindling numbers of art and copy duos is really a result of external forces and why it no longer makes sense to hire in twos. “In the beginning (when print was at its helm), the role of the art and copy person was very critical but when TV started taking over, the art became different. When it comes to TV, art is more about art direction on the set, which is another specialised field. So, over time, agencies and brands started looking for people who could write beautiful scripts and typically art directors were not writers. So, today, I would not say that the duo has gone but people have become creative thinkers. Now because both art and copy guys started doing similar things, they ceased to be partners. Similarly, if I am looking for one guy and there is someone who is good at both art and copy why would I hire a team?” said Chauhan. Apart from the role that technology is playing in this changing dynamic, another aspect is the rapport between copy and art. According to Misra, over the last decade, copywriters seem to be commanding higher influence over the message than the art director. “Today, brand spends a lot on non-art mediums. Art was primarily done for print ads, today the spends are more on digital. It is not that digital doesn’t need art, but it is not the same. Also, the time spent on a TV ad and that on a print ad is not even comparable,” said Misra. While it is true that there are fewer art and copy duos than there used to be before, it is probably unfair to conclude that this is a dying trend. Like all things, this is part of evolution and newer and better collaborations might be on the horizon. Tags: In-depth Is the age-old collaboration of art and copy getting side-lined?